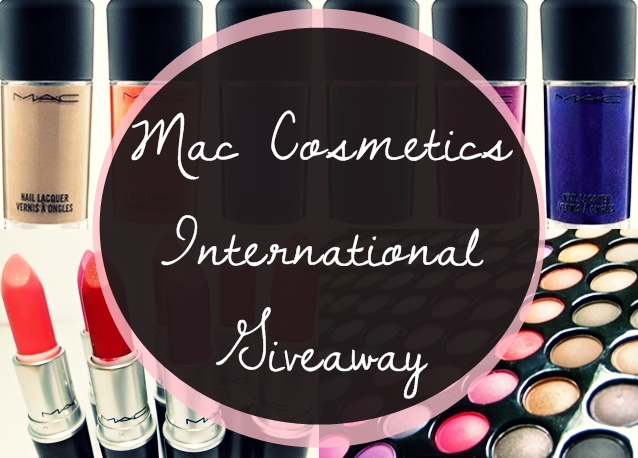 Welcome to our Mac Cosmetics International Giveaway! Welcome to our Spring Fling Giveaway. Six blogs have gotten together to bring you six really great Spring prizes, that will beautify you, pamper you and help you welcome spring in a big way. Please visit all our co-hosts and enter the giveaway via the Rafflecopter form below. Please visit all the co-hosts and enter the giveaway via the Rafflecopter form below. Bienvenida a nuestro sorteo Mac Cosmetics Internacional Sorteo! Por favor visita a todas la anfritionas y participa abajo con Rafflecopter. Betzy's Makeup A Beauty Blog, Swirls and Scribbles, Makeup, Life, and Love, Daily Diary by Gabriela, Valiantly Varnished, Beautiful Reports, Banini Beauty, Laura Neuzeth, The Journey.